There are a few new updates to Threads of Inspiration. I've put a few links up to my etsy shop, both on the side and in the link bar at the top. In addition I've added a new embroidery pattern, Craftsman Coneflower, to the shop. It is great for a new embroiderer or if you want a little refresher on your skills. The stitches used are stem, satin, chain and french knots. The directions suggest two different color schemes, but of course you can choose your own. 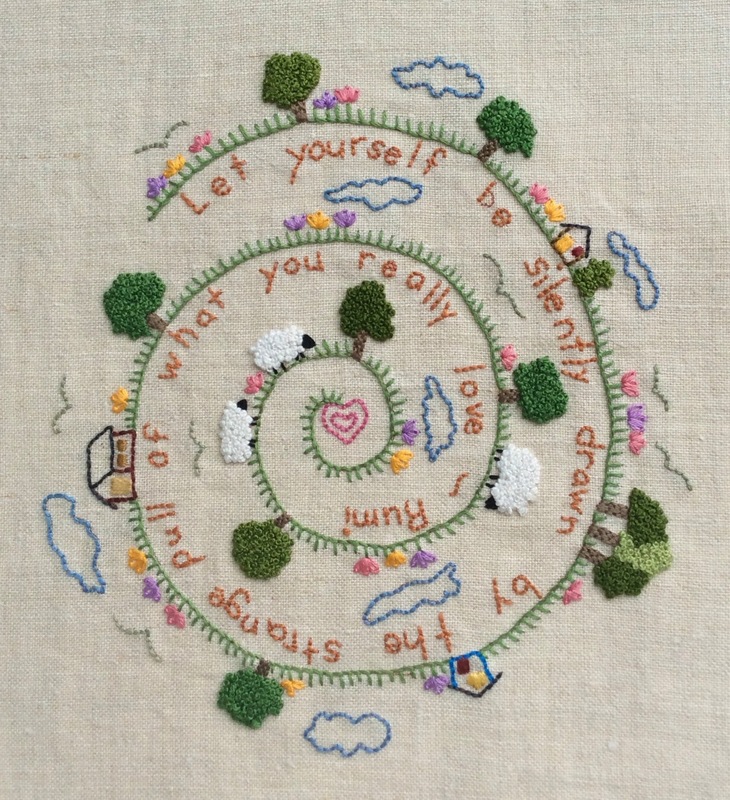 It's a little brush up on some old favorite stitches and you end up with this great design for a pillow or framed picture. I teach a lot of classes and my class descriptions are another addition to the top bar. Perhaps you need a program for your guild, club, art center or a group of friends. I'd be happy to work with you and organize a class. In addition I can customize it to fit your group's interests. In the category of exciting!!!! I'm happy to announce I'll be teaching several classes at the Textile Center of Minnesota this winter and spring. Stay tuned for updates and links when the registration opens. Which Needle Should I Use? I have a lot of needles for pretty much every kind of sewing. When I take them out of their original packages they never make it back. They wind up in one of my four pincushions, a small tin or stuck into some fabric that is ready for future stitching. I never know what kind or size needle I'm using but this works just fine for me. The first time I taught a class I was asked 'What size needle should I use?' Oh, oh! I really didn't know. My best answer was, 'The one that works.' Not much of an answer for someone who does pay attention to those sorts of things. Does the thread go through the eye easily? Does the needle stay threaded while stitching? 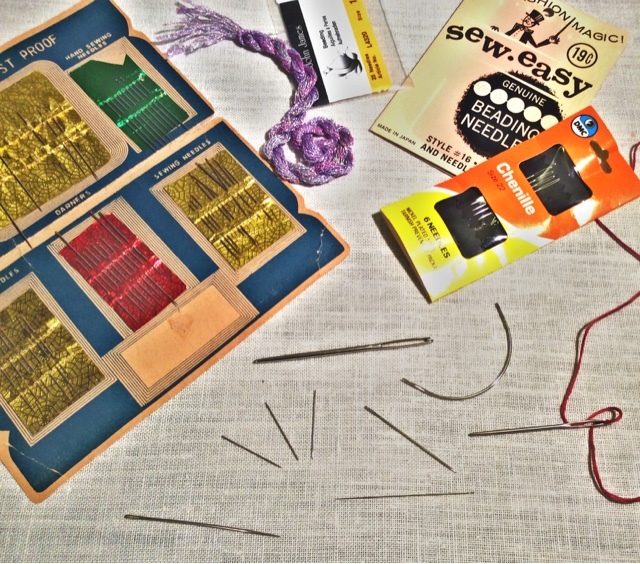 When stitching, does the needle go through the thread easily without catching at the eye? After taking a stitch does the fabric close around the thread? If you answered yes to all of those questions, congratulations! You have the correct type and size needle for the thread you are using. If you answered no, try a different needle. There is nothing more aggravating than fighting with your needle! If your sewing box isn't filled with a selection of needles, you have a reason to go to the fabric store! Have a nice variety on hand - embroidery, betweens, sharps, chenilles, tapestry, even glovers! They will all come in handy for some project or other.